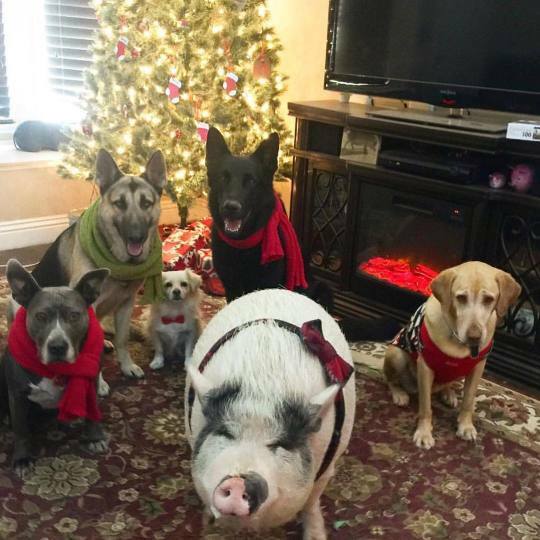 This afternoon the Department of Unexpected Interspecies Friendship is hanging out with Chowder the pot-bellied pig and her five rescued canine friends, Rika, Slick, Nya, James, Bashe. 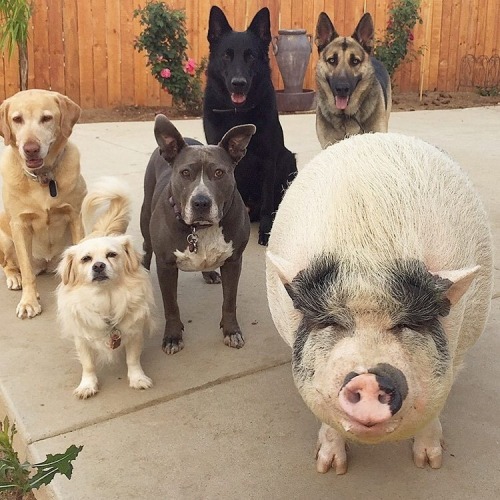 Together they form Piggypoo_and_crew and they live in Souther California with their doting human, Shelby Madere. In an interview with the Instagram blog, Madere openly expressed her devotion to every one of the animals. Follow Chowder and her pupper pals on Instagram to keep up with their latest heartwarming adventures.